Shas MK Amnon Cohen on Thursday, 9 Shevat sent a letter of resignation to Shas’ Moetzas Gedolei Yisrael, informing the rabbonim of his decision to step down from a life of politics. 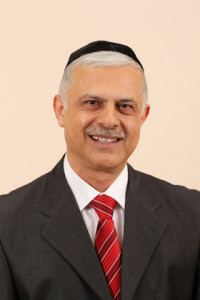 Cohen served in the 15th through 19th Knessets, having been an MK since 1999. Cohen explained that he consulted with his family and reached the decision that while he plans to continue working for the tzibur ‘from the outside’, it is time for him to step down. Party leader Aryeh Deri praised Cohen’s activities over recent years as the representative of the Bukharin community in Shas.